Unbeatable for production, strength and safety. Superb quality features make the Clemco Big Clem unbeatable! Strong steel frame trailer, axles and wheels not duplicated by any of our competitors. Additional safety is provided through four wheel brakes and emergency break-away switch on highway models and multi-ply tires based on weight loads. 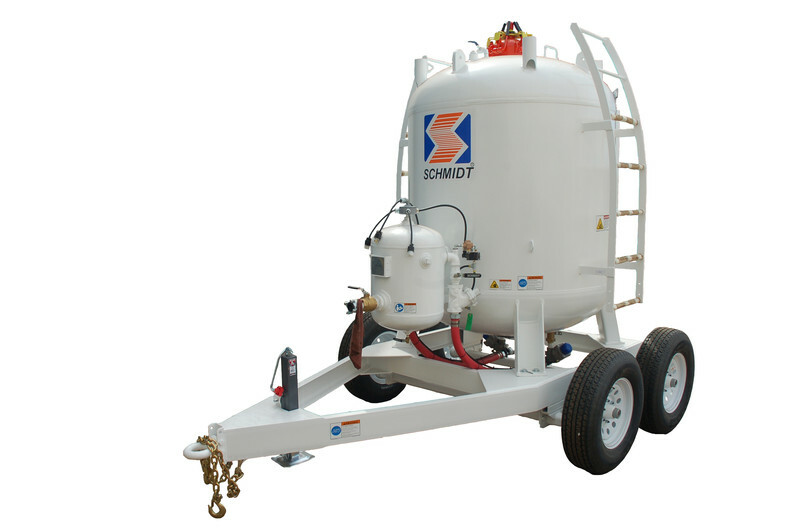 Schmidt® brand bulk blasting systems revolutionized the abrasive blasting industry when they were introduced in 1981, ushering in a new era of productivity for large jobs. Since then, they have only been improved upon. 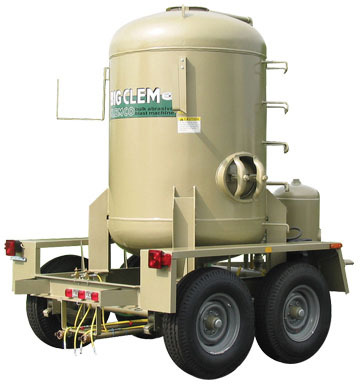 Schmidt bulk blasters are designed to maximize the cost savings of volume production. They feature multi-outlet Thompson Valve II controls that allow each operator independent control of his abrasive media flow.